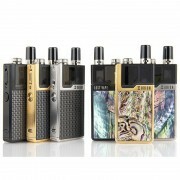 The Lost Vape Orion Q Kit includes an Orion Q battery and a 2ml refillable cartridge. Powered by 950mAh built-in battery, the Orion Q supports 17W maximum output. 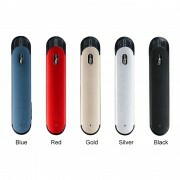 Featuring a fire button, it can bring you a much simpler vaping experience. The Orion Q has multi-colored LED battery life indicator. Multiple protections are applied to ensure a safe vaping environment. 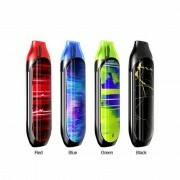 The cartridge comes with thread top fill design and adjustable airflow control. Four colors for you to choose: Black-Black Weave, Blue-Black Weave, Gold-Black Weave, and SS-Black Weave. How to charge Orion Q? Simply charge Orion Q Battery by connecting it with a computer, a power bank, a wall adapter or other electronic devices (with a USB port that is capable of providing a charge) via USB cable, also you can purchase an inexpensive USB car adapter, thereby affording you the ability to charge the Orion Q Battery in the car. This is particularly useful while you are on long drives and road trips. ❤ Please read the user manual carefully before using this Lost Vape Orion Q Kit. ☞ 6 months warranty period for Orion Q Pod Kit.